Attention Steemains - Save your posts before clicking the submit button! There have been a lot of users reporting about the Steemit.com website running slow, and actions not getting reported to the blockchain. The website taking a very long time to process votes/posts/comments. Errors that you cannot upvote more than once every 3 seconds, even though it has been longer than that. Posts, comments, and votes getting lost (not being saved in the blockchain). 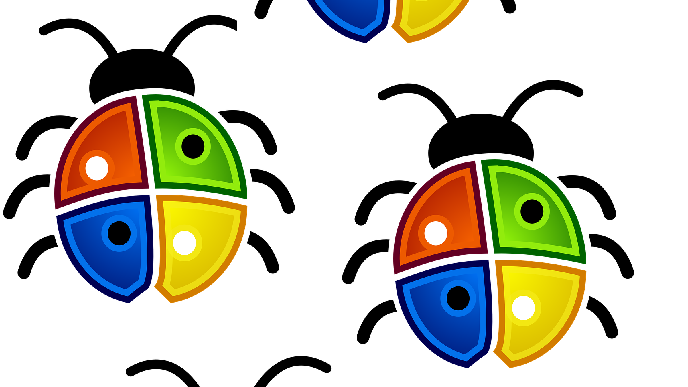 The dev team is aware of the issue and is looking into it (GitHub issue 1818). In order to prevent posts and comments from getting lost, save a copy of your posts/comments in a text editor (such as notepad) before clicking the post button! This way, if your post/comment is lost, you will have it saved somewhere and will not have lost all your work. Also, check to see if your actions (such as posts/comments, upvotes, transfers, etc.) are recorded. To check the blockchain to see if an action was received, wait for around 30 seconds and then refresh the website and see if it is still there. You can also go to https://steemd.com/@youraccountname. If the action is not recorded there, it will need to be re-submitted. You can also right click on the post tab, top right and click "open link in new tab" That would open up a copy of your post, just in case the one you submitted did not post. you can than try again. Yes, that is a good recommendation. I wasn't sure if Busy and the other sites were having similar issues, so I didn't want to label them 'safe'. I think saving a copy before submitting is a good idea regardless of which UI you are using. Using these off site editors to write your posts can save you this trouble. Saves text as you write it. Allows multiple people to easily edit a document at the same time. Haroopad - My favorite editor for linux, but also available for Mac, and Windows. all of these editors offer a side-by-side view of your post showing you the preview while you write it, as well as support for multiple coding languages! I opened an hackmd.io account but i have not been able to get through in using it once, I might contact you in discord to explain grey areas. Thanks. I guess I need to start learning some of these off-site editors. I've been doing my best to stay only on steemit since there is so much effort needed for me to just learn this place. But thanks for the ideas and I will look at these and see if my weak technical brain can take anymore. thank you, I was looking for something like this - will check these out! if on a mac i use these tools to make blogging much easier! Resteemed. It didn't appear on my blog. This bug is really timed amusingly with my attempt to return to Steemit. I wonder if this comment will post. Lol, I know. I actually had to post this post 4 times before it stuck. And this is how I discovered busy.org . Helpful! So what's changed in the past year? I hear people buy votes now? There is a market for that now, yes. Quite a few new features have been added. I think a lot more are in the pipeline. Tell me more! Or link to a post that does. Need a quick update before I make a fool of myself. 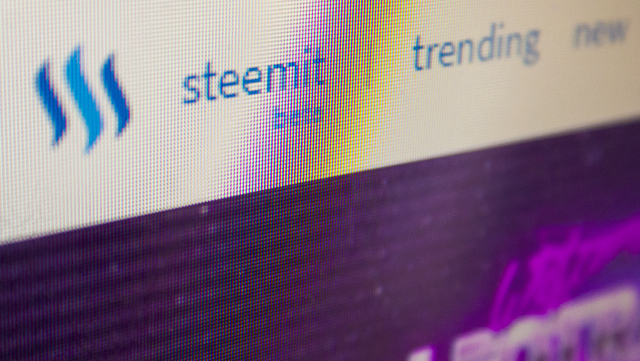 The best source for major updates will be to go through the @steemitblog posts. There are also a lot of general UI updates, such as nsfw filters, profile pics (which you have obviously found), cover photos, and a FAQ page. There are quite a few more I'm sure, but if you explore the site you should be able to find a lot of the stuff that is different. Also, if you haven't checked out the welcome page, and FAQ (in the main menu) - they have a lot of good info. I did all that. So far, the best thing I discovered is busy.org and apparently I can delegate voting power to get rewards through minnowbooster. Still figuring that out. I have more voting power than I need, so might as well let newbies use it, right? Such an honor @timcliff ! I hope this issue gets fixed soon, Cheers! edit: I was also unable to post a comment certain comment, regardless how often I F5-ed or even opened a new tab by clicking on the link under replies. Then I posted a "test" comment - that worked. I could also copy in the not-working text. So I guess the problems also have something to do with what steemit saves as draft. Once I got "Transaction broadcast error." edit3: had the transaction broadcast error again and something popping up on lower left "e is null"
Yeah, the dev team is still working on a fix.. Hopefully we will see things improve soon. Very good post which motivated me to follow up and make a post about it (pls see my latest post where I indicated more tips, I referenced you there) . This issue affected me because my post didnt get the normal upvotes due to inability for readers to upvote me as usual and i hope that the issue will be resolved. I have learned that paying attention to how long it takes after hitting the post button can help you not lose what you are posting. At least for comments. I have saved many of my posts by copying them when I notice it is taking an extremely long time to post just encase it is lost! Update: Just happened now haha. One trick I use is to open two windows to steemit and click post in second before I post, this creates a copy all filled in and ready to go. That's a good idea and would work for me - I just do CNTL A and CNTL C before posting and if it doesn't go, I can just paste and try again. But your way saves the title and hashtags, so I think I will use your tip. Thank you! that! is a good trick! I have had this several times. I have t managed to post via the website for over a week and I’m using esteem on my mobile. Even this often cuts half of comments off. It’s usually better with posts. It also rotates pictures in posts. But otherwise it’s great!! We have already seen this in the past few days and also these days we also see a slow process of commenting. I agree with you to make a copy of all this for nothing. Yes, I also noticed that comments and posts are not added for a long time, we have to update the page and wait for it to lose a lot of time. Took 3 tries to get my #introduceyourself post uploaded, very slow to reply on threads as well. The dev team is working hard to resolve it. It is related to the issue. I lost two precious post because of this, I had to edit and change the other one to meme. I still forget from time to time and have a minute of breath holding till it shows on the new posts page LOL. Thanks for the update. I saw an error tonight I had never seen - the user was logged in and trying to post, got the error 'missing posting authentication' (i think that's how it was worded) even though we were able to see her private keys etc. Tried busy.org and couldn't even log her in. We and everyone else appreciates this info. She will be coming over again tonight to try to post. (She's literally day1 on steemit.) I'll remember to post an update here. Thanks for checking! She has successfully posted her first article! A happy new steemer! Thanks, Tim. Yeah, it seems like there have been some issues with certain character encoding. They should be working on a fix. Thanks for helping with the posting issue! Second edit: Tried several times and finally got the other comment to post. Maybe it's just a fluke, but the comment finally worked only after I had removed an emoticon. Thanks for the report. A lot of users reported the same issue, but then it seemed to have resolved itself after a short amount of time. I reported it to the dev team so they are aware. Busy.org works for me too as an alternative. When I first had this issue and a few longer comments seemed lost, I could recover them by opening a second tab with the same URL... to my big surprise the window with the editor and my comment was back. Made it a habit to save everything now. I use an addon called Lazarus Form Recovery which saves every information from any form for a few minutes so you can recover it in case of a crash. It has saved me more than once. The browser (at least Firefox and Chrome) store a copy of everything you write before posting it, if the posting (post button) last forever you still can open the same post in another tab and your post will be there. That works for me at least. Don't count on it. It may work sometimes, but it may still occasionally get lost. Well I see that it has been 12 hours since this post was published, and still the problems persist with the contents that are not saved in the blockchain, because I already happened a few minutes ago when trying to publish a comment, I had to do 4 attempts to have it published. I had this exact thing happen to me last night. I spent 4 hours crafting an in-depth dog training article, posted it and went to check on my dogs' outside. When I came back in, the page had refreshed by the post was nowhere to be found. I know better than to not save my work, and generally used Evernote as a backup but in this particular case, it was getting late, I was writing in the Steemit editor and I just didn't do it. On my phone I have access to the clipboard and I knew I had copied the article previously so I didn't think that it would be a big deal...well the Universe was laughing at me as I realized that I had copied a link to a video I was referencing in the article as a last item and not the article itself and therefore on the laptop had no access to the previous clip. I know. The dev team is aware and are actively working on addressing the issues. And here I thought it was just my computer playing up haha! Well fingers crossed the issue is fixed ASAP to make our lives a lot simpler again. Thank you so much for this post. I lost a post and thought it must be my system that was at fault. It happened a second time but I had saved as you suggest. I am pleased they are looking into it. I write out and save my longer posts with Open Office prior to posting them. I find it's easier to copy and paste from a formating standpoint. I tried it with word and it wasn't pretty. Glad to see the mention of steemd. A couple of times I thought post were lost, but a check of steemd showed it got saved, then clicking on it, and view in steemit, it magically appeared. So sometimes it is not completely lost, other times, yep, gone bye, hasta la vista, filed in file 13, or warehouse 13. Then it is time to re do it. It happens. One other hint if your reply box is still pink with a spinny thing you can still highlight and copy your post. Then if the page says loading in the lower left hand side of the page you have it on your clip board to paste in a new post box. because once the "page loading" appears in the lower left of the page it is gone. Just reload the page and re-post. If you reload the page before you get the ominous message in the lower left of the page, then your message will still be in the message box, and you just click post again and hope. Happened to me while posting yesterday. Good thing I copied it. Thanks for sharing this! I truly appreciate knowing this and am grateful you care about having our backs. Thanks! Thanks for the heads up, was wondering where my post went! Thankfully I have a backup! I resteemed to inform my followers. I already doing that before i save a copy if my content before posting it, just to make sure. @timcliff, yes off course you point out major issues we faced now a days . i hope that issues and errors solved by team as soon as possible. thanks for informed and update. Yeah, I have been copying all my posts before submitting for several days now. Thanks for communicating this to the community!